For this year’s Black History Month, I – along with author Milton Davis – was asked to teach a class on Steamfunk at GA-Tech. For the class, the students read my story from the Steamfunk anthology, Rite of Passage: Blood and Iron and Milton’s story, The Delivery. Milton read an excerpt from his upcoming, long-awaited Steamfunk novel, From Here to Timbuktu. I decided to introduce the students to some Dieselfunk, so I read them an excerpt from my novel, The Scythe. A few days later, I received an email from a student from Howard University – news travel fast in this Age of the ‘Net – who congratulated me on “another first.” In addition to my “stellar accomplishment” in authoring the first Steamfunk novel, Moses: The Chronicles of Harriet Tubman, according to the student, I was also the first to author a Dieselfunk novel, as well. While I appreciated the compliments, I had to correct the student. I told her that the first Dieselfunk novel was actually written by one of my idols, who I’m sure didn’t even know he was writing Dieselfunk at the time, as I didn’t know I was writing Steamfunk when I wrote Moses: The Chronicles of Harriet Tubman. I was just writing alternate history with some cool gadgets, enhanced abilities, the supernatural and a bit of magic. “What is Damballa?” She emailed me back. Damballa is Jazz. African science. Western science. A hooded, Black hero. Two-fisted pulp action. Such is the stuff that makes Damballa the unique and awesome Dieselfunk read that it is. A classic costumed pulp hero, the black-hooded Damballa steps out of the forests of Africa and onto the streets of 1930s Harlem to battle Nazi’s bent on proving the superiority of the Aryan race. Damballa (2011) is an incredible pulp adventure written by author Charles R. Saunders, the founder of the subgenre of Fantasy fiction called Sword and Soul and creator of the Fantasy icon Imaro. 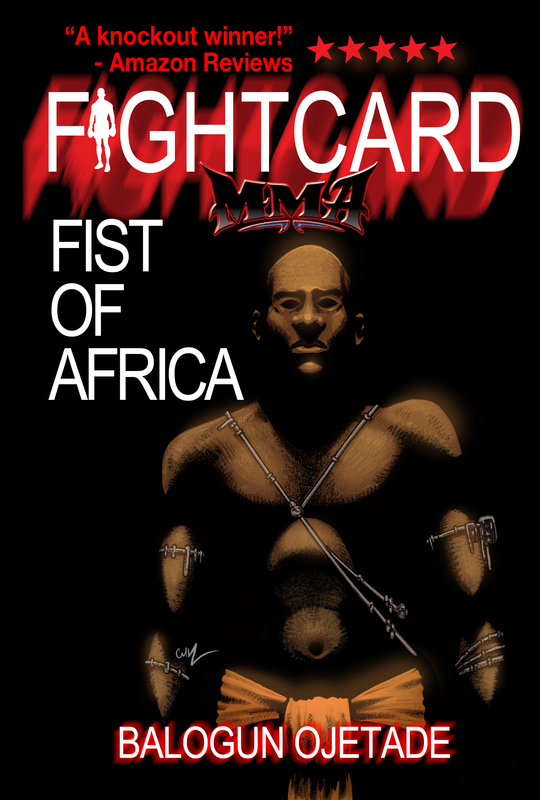 The action does not stop as the titular hero uses his vast knowledge of Western science, African science and martial arts to expose and neutralize the Nazi threat. Set in Harlem in 1938, the world is on the cusp of World War II and the Nazis are bent on proving their racial superiority. The world heavyweight boxing champion, an African-American named Jackhammer Jackson, is challenged to a title match by the Nazis. Their representative is Wolfgang Krieger, a freakishly strong and massive man known as the “Aryan Adonis”. Krieger possesses inhuman power, which the mysterious Damballa believes has been bestowed upon him by Nazi scientists in an attempt to prove their racial superiority. 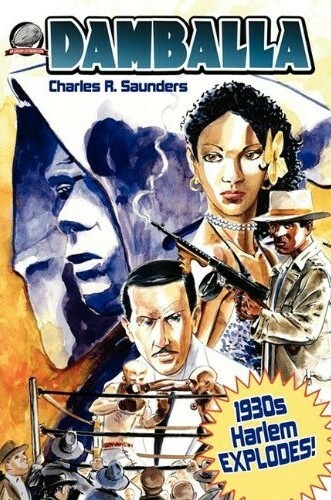 Aided by African-American NYC detective Bynoe and the brilliant Congolese elder woman Mamadou, Damballa hatches a plan to neutralize the Nazis’ fiendish plot. Saunders layers this intriguing plot with historical details that recreates post-Renaissance Harlem to perfection. Damballa is a shining example of what Dieselfunk is and what Pulp is when it is at its very best: thrilling, visceral, tightly-plotted, well-written, fast-paced fun and the hero, Damballa, is a shining example of what a pulp hero in the hands of a master can be: a hero the reader can actually stand up and cheer for; a hero with qualities and with a story other authors do their damndest to echo in their own creative and original ways. Saunders delivers a masterful blend of storytelling, film noir, and boxing, with an eye-popping cover by Charles Fetherolf and interior illustrations by Clayton Hinkle that combine to make Damballa an instant pulp classic you do not want to miss! 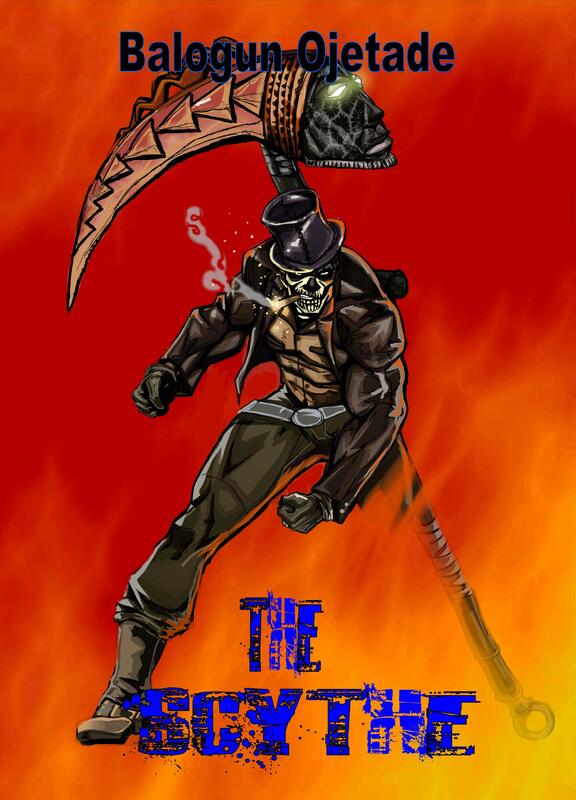 The Scythe stormed into Ernest Woodruff’s office suite. La Vipère Noire burst into the room behind him. She was dressed in a matte black cat-suit, studded with tiny black beads. Her boots, gloves and even her derby were all similar studded in a reptile scale pattern. A black bandana concealed her face from her cheeks to her chin. Her derby was pulled low over her forehead and tilted slightly to the left. The two vampires sitting on post leapt from their seats. “Viper, take the one on the left,” the Scythe said. “Got him,” the Black Viper said sauntering toward the vampire. She extended her right arm, revealing a small, tubular, metallic flashlight in her fist. She pressed a button on the flashlight and bright, white light washed over the vampire’s face. The Black Viper whipped her left leg toward the vampire’s head in a wide arc. As her leg passed through the light, the studs on her leg seemed to swallow it for a moment and then spit the light out with the intensity of two suns. The vampire screamed in agony as his flesh blistered and charred. Viper’s shin slammed into the vampire’s neck, separating his head from his shoulders. The vampire’s body collapsed as his head bounced across his partner’s feet. “Damn,” the Scythe said as the head rolled past him. The surviving vampire leapt to the ceiling and then clung to it like a spider. He scurried toward the exit. He reappeared right below the vampire and then thrust his right hand into the vampire’s back. The Scythe slammed the vampire onto his face. Brown blood sprayed across the black and white checkered floor tiles. The Scythe yanked upward, ripping the vertebrae from the creature’s back. The vampire gasped and then released a weak moan. “He’s all yours, Viper,” The Scythe said. The Viper held her left forearm in front of her flashlight. She turned the flashlight on and the black studs intensified the light to a blinding brightness. The intensified light struck the vampire, setting it ablaze. The vampire cried weakly as it convulsed. A moment later all that remained of the creature was ashes. Thunderous applause rose from the dense crowd before Nick. The people parted, revealing a hulking figure sitting upon an iron throne, carved in the shape of a leopard resting on its haunches. Agbu Tochi rose from the throne, looming above the crowd like a statue carved from onyx stone. His forearms were as thick as an average man’s thigh and appeared to be as hard as the throne he had just risen from. He slammed his cantaloupe-sized fist into his chest and the crowd roared. Tochi sprinted into the ring, charging directly toward Nick. Nick swallowed his fear and stood his ground as the human locomotive called Agbu Tochi sped toward him. The colossus stopped just inches in front of Nick, his massive chest almost touching Nick’s nose. The giant stood still and in silence. “Are you ready, Nick Steed?” Chizo asked. Agbu Tochi tapped his chest twice with his fist. Nick shuffled backward to his place at the edge of the ring. Agbu Tochi shambled backward to his place, his unblinking gaze locked on Nick’s throat. Agbu Tochi lurched forward. Nick charged forward to meet him. Nick hammered into Agbu Tochi’s ribs with a volley of heavy right and left hooks. Agbu Tochi staggered backward. Nick shuffled forward with a lead-hand hook toward Agbu Tochi’s chin. The giant leaned back. The punch shot past his face. He then countered with a fierce cross, catching Nick square on the jaw. Nick collapsed to his knees. He shook off the pain and exploded back to his feet, careful not to let his hands touch the ground. Both knees and a hand on the ground at the same time would be a loss by traditional rules. Nick’s feet had barely touched the earth when he was lifted high into the air by the giant, who had grabbed him from behind in a tight bear-hug. Nick thrust his leg to the outside of Agbu Tochi’s thigh, hooking his foot behind the giant’s knee. With the throw now blocked, Nick bent at the waist as he threw his palms toward the ground, breaking free of Agbu Tochi’s grip. Nick thrust back and upward with his left foot, driving his heel into Agbu Tochi’s solar plexus. Agbu Tochi doubled over in pain. Nick whirled toward Agbu Tochi, slamming a crushing shin kick into the outside of his thigh. Agbu Tochi’s leg buckled. Nick followed with a second shin kick to the inner thigh of the same leg. Agbu Tochi’s leg quivered and he switched feet, bringing his left leg forward to protect his right leg from further onslaught. Nick burst forward, wrapping his arms around Agbu Tochi’s waist and pulling him close. The giant thrust his massive right arm between his hips and Nick’s to partially break his grip. The men mirrored each other, both holding the others left triceps with their right hand and waist with their left hand. They then fought for superior position, snaking their arms over and under each other in an attempt to grasp the other around the waist with both hands. Nick proved to be a bit faster, lithely coiling his arms deep under Agbu Tochi’s armpits and then digging his fingers into the colossus’ sinewy shoulders. Agbu Tochi shook furiously, but could not free himself from Nick’s boa constrictor-like control of his upper torso. Nick thrust his hips forward as he punched his arms skyward under Agbu Tochi’s armpits, launching the massive wrestler high into the air. Agbu Tochi’s eyes widened. A hush fell over the crowd. Nick torqued his hips as he arched backward, increasing the momentum of the throw. Both men struck the ground with a thunderous din. A cloud of sand billowed up from the ring. So, there you have it – Dieselfunk and Fight Fiction, two different genres; both, very much Pulp Fiction; both inspired by my idol, Charles Saunders, the father and founder of Sword and Soul and Dieselfunk. Posted by Balogun on March 4, 2014 in Adventure, Afrofuturism, Dieselpunk, Fantasy, Science Fiction, Speculative Fiction, Steamfunk, Steampunk and tagged afrofuturism, Dieselfunk, Fight Fiction, new pulp, sword and soul. Charles is a true trailblazer. First Imaro, now Damballa. His Abengoni trilogy, which I hope to publish this year, was another ground breaker for its time. It feels good to be in such great company with you and Charles. It is an honor to be in the company of such powerful examples of creativity and putting in work as you and Charles. Charles, besides being a genius, is so skilled with the pen it is damned near frightening. He can tell a story like no other and it is his telling of Damballa that made me, once again, look forward to picking up a work of fiction and diving, head first, into its world. A great tribute to Damballa! Your link to its Amazon page in the back of The Scythe is how I discovered the Kindle edition, and I bought it that very second. The opening is simply brilliant. I hope to see more of Charles Saunders’ work on ebook in the future. It was through him I learned of your work, Balogun. Charles is a master author and a great human being, Fujimoto. I am grateful to be able to call him my Sword and Soul Brother!